As a writer who seems to specialize in the "xoxo" of the game, I often set out on a journalistic journey of sorts when I put words to paper. Although my intention is a good one, the motive often becomes a concentrated effort to elicit a certain response. I'm not sure if it is a gift or simply the willingness to open up my heart, but more often than not, my goal is to make my audience feel the sorrow associated with an event. To warm the heart by moistening the heart. To make my readers feel the pain that the participants in the story felt themselves and to relate it to their own life. And then sometimes, the story is so incredibly sad all on it's own, that I don't need to say a word. I simply need to recount the events and let the reader feel on their own. Mike Coolbaugh was a career minor league baseball player who played nearly 1700 minor league baseball games, rode countless hours in the back of countless buses to nowhere and spent countless hours away from his wife and kids. Over the course of those 1700 games, Coolbaugh got an extraordinary number of hits and fielded an infinite number of ground balls from his position at third base. As a minor leaguer, Coolbaugh's numbers are almost staggering. 6071 at bats, 1615 hits, 928 runs scored, 398 doubles, 258 home runs and 1007 runs batted in. All in hopes of making it to the Bigs. And he did. After all that effort, Mike Coolbaugh had a cup of coffee with the big boys. Though his statistics weren't off the charts, Mike Coolbaugh knew that forever more, he'd be able to tell his kids that he played in the major leagues. Coolbaugh amassed 82 at bats in 44 games over the 2000 and 2001 seasons for the Milwaukee Brewers and St. Louis Cardinals. During that stretch, he barely entered the hit parade, reaching base only 21 times on 15 hits and six walks. After five more years in the minor leagues, Coolbaugh decided to call it a career in 2006 and became a coach midway through the 2007 season. Over the next six seasons, Coolbaugh coached nearly 1000 more games, took about the same number of bus rides and spent too many nights away from his two sons and his wife Mandy, who would soon be expecting their third child. I suspect that on the morning of July 22, 2007, Coolbaugh called his family from the road, asked them about their day, gave Mandy a figurative kiss on the tummy and headed for the park, following much the same routine he had for the past 2700 games. It wasn't until Coolbaugh took a line drive to the head from his coaches box position while coaching for the Tulsa Drillers that the routine changed. Mike Coolbaugh was killed instantly. Two years have passed since Mike Coolbaugh's death and he has become more well known and more appreciated in his passing then he was ever known during his playing and coaching career. Today, baseball coaches of all levels are required to wear protective helmets when coaching on the field as a result of Mike Coolbaugh's tragic passing. The story of life in the Coolbaugh home since Mike's passing has been eloquently retold in a special piece that his widow Mandy wrote for MLB.com. I urge you to read it. Well there. I've elicited that response I warned you about and am going to bring this story to a close. This time, however, I elicited the response in myself. RIP Mike Coolbaugh. Your family in and out of baseball, really misses you. On November 7th, 2009 at the Tapatio Springs Golf Resort in Boerne, TX, the Mike Coolbaugh Memorial Golf Tournament will be held to raise money for the Coolbaugh Family, as well as, to raise funds to start a baseball clinic for children from San Antonio who have also lost a family member. Additionally, Mandy Coolbaugh hopes to promote safer conditions for baseball players, coaches and fans at all levels. Please visit http://www.coolbaughmemorial.com/ to learn more about the event and how to participate. If you're not a golfer or won't be in the vicinity of Boerne, TX on the day of the event, you can still participate by donating to the Mike Coolbaugh fund or by donating sports memorabilia for the auction that will follow the event. Visit the site to donate to the auction or to sponsor a portion of the event. Auction items can be sent to the following address: Cheryl Coolbaugh, 11844 Bandera Rd. #447, Helotes, TX 78023-4132. Todd Civin is a freelance writer for Bleacher Report, Seamheads, and Boston Sports Then and Now. He can be reached at toddcivin1@aim.com. He is also a supporter of A Glove of Their Own, the award-winning children's story that teaches paying it forward through baseball. A little girl's unconditional love for her father is a heartwarming story that I can hear over and over again without tiring of it. More so, I feel absolutely within the boundaries of creative license to share the story on more than one occasion. This past August, I told of Natalie Niekro and her love and admiration for her Daddy, the late, great Joe Niekro. My story about her story, entitled "Joe Niekro: Daddy's Little Girl Knuckles Up For Aneurysm Research" has been quite well received while at the same time igniting a friendship between me and the child of one of baseball's greats. Just as Joe Niekro was one of my heroes during his brief time on earth, so too is his daughter through his passing. On nearly a daily basis I witness Natalie's commitment to her father and her undying efforts to carry on his legacy. She has made me realize how lucky I am to still have both of my parents and has enabled me to savor ever precious moment that I will continue to enjoy with them. I encourage the readers of this story to do the same. "Live every moment as if it were your last. Then one day you shall be right." Additionally, through her creation of The Joe Niekro Foundation , Natalie urges us all to learn about and become aware of the many aneurysm factors, causes, treatments and research available today and to support the foundation in it's quest to help prevent and protect against deaths caused by brain aneurysms. Growing up as a child of a professional baseball player has been an indescribable experience and now the torch has been passed to me to leave a legacy just as my father has." Natalie went on to add "Dad’s aneurysm was sudden, unexpected and undiagnosed. Within 18 hours of Dad’s rupture, he was pronounced dead. Upon losing my father, I made a commitment to dedicate my time, energy and focus on the advancement of neurological treatments for aneurysm patients." Natalie is taking the Foundation globally later this month after forming a partnership with Major League Baseball and the Arizona Fall League. "The Foundation has a great relationship with the Houston Astros organization, but is not as well known by the other teams that Dad played for. I wanted to find a way to make other teams and their fans aware of the cause and the Foundation," said Niekro. Through the efforts of long time baseball executive Roland Hemond, Natalie connected with Steve Cobb, the executive director of the Arizona Fall League, who warmed after initially balking at Natalie's idea. "When I spoke with Steve Cobb, he seemed a bit hesitant to incorporate a program so close to the start of the season, but when I sent him my idea, he called me within minutes wanting to be involved. He said he was touched by my story and could hear the passion in my voice, and knew it was an organization he wanted to partner with." "We met with each other after church and created the Arizona Fall League Aneurysm Awareness Week." Aneurysm Awareness Week will begin on Oct. 26th, which marks the day of Joe's Aneurysm. Throughout the week of 10/26, $36 will be donated to The Joe Niekro Foundation, for any strike-outs by a pitcher wearing a uniform from one of the teams Joe played for during his career. Niekro explains, "The number 36 signifies the number Dad wore during the majority of his 22-year baseball career. These teams include Chicago Cubs, SD Padres, Atlanta Braves, Detroit Tigers, Houston Astros, NY Yankees and Minnesota Twins." Niekro currently has three sponsors, each of whom will donate $36 per whiff, but would love to include several more. She and her husband, Luke, will then match the funds raised and donate to the Foundation. At all games throughout the week, microphone announcements will be made during each game detailing the promotion and reason behind it. The announcements will give a total that has been raised to-date on each day. This will give spectators the chance to hear about the number of strike-outs and who the pitchers were, which is a great way to showcase the league's talents. In addition, informational brochures will be handed out at each game during that week to raise awareness of the Foundation and brain aneurysms. Niekro herself will appear at three games to throw out the first pitch and address the crowd. 10/26 - Peoria Sports Complex - 6:35 p.m.
10/30 - Scottsdale Stadium – 6:35 p.m.
10/31 – Good year -12:35 p.m.
"The week climaxes on Nov. 7 (which also happens to be my Dad’s birthday), there is a nationally televised game on MLB Network at 6:15 p.m. in Surprise, AZ, which will be the game that we will do the check presentation. Niekro will spend some time in the booth with MLB writer Jonathan Mayo, who is expected to do the play by play of the game. "I am so excited to partner with MLB on this concept and hope that this will be an annual event with the AZ Fall League." Niekro hopes to roll this out to the Arizona Cactus League or with any luck to the entire Major League season. To become a sponsor of the event, please write to nniekro@joeniekrofoundation.org. To simply donate to the cause please visit the website at www.joeniekrofoundation.org . Niekro recently threw out the first pitch at Minute Maid Park in Houston on September 13th after presenting a check to the Foundation following The First Annual Knuckleball. The Foundation raised over $400,000 at the gala black-tie affair which took place on July 31st at Minute Maid Park and featured a casino gaming reception, silent and live auction and a special performance by Grammy Award Artist, Collin Raye. The following video presentation was shown to guests on the night of the event and captures the emotion that Natalie still feels when she speaks of her "best friend". Niekro threw out the inaugural pitch at the September 13th game, a knuckleball thrown for a strike of course, to Astro's star first baseman Lance Berkman. Berkman, who is closely affiliated with The Methodist Hospital, told Natalie that she throws better than most guys who are afforded first pitch honors. Todd Civin is a freelance writer who writes for The Bleacher Report, Sports, Then and Now and Seamheads . He is also a supporter of, "A Glove of Their Own" the award winning children's story that teaches paying it forward through baseball. The Joe Niekro Foundation is the most recent non-profit organization to join the A Glove of Their Own team and will earn $3.00 from each sale of the book purchased using the donor code JNF636 Joe Niekro Foundation. They say "the grass is always greener on the other side of the fence," leaving one to believe that they have never played baseball in Jeff Paolino's back yard. Paolino is the Head Groundskeeper for the Lowell Spinners, Class-A affiliate of the Boston Red Sox, and was recently named the New York-Penn League Sports Turf Manager of the Year for his work at LeLacheur Park. An avid baseball fan and criminal justice major, Paolino, in his second season as the Spinners head groundskeeper after three seasons as the assistant. Paolino oversees all grounds work at LeLacheur Park during both the Spinners and UMass-Lowell's baseball season. In 2009, Paolino's tireless work ensured the Spinners would be able to play despite rain on 15 of the team's first 18 home dates. Paolino and his team prepared the field on those games without so much as a rain delay. Overall in 2009, the Spinners were rained out just once, while playing through the rain in over half of their home dates. "This award is a testament to the hard work Jeff and his staff put forth on a daily basis, in taking on the onus associated with ensuring we are able to play on a playing surface that is one of the best in the game," said Spinners Vice President and General Manager Tim Bawmann. "With the amount of rain we had in 2009 to only have one game lost to rain is remarkable and we are very happy to have Jeff honored for his hard work in making it possible." Paolino, a 24-year-old native of Methuen, MA, explained the logic and level of commitment that goes into his award winning garden, "The key to winning this award is to maintain the playing field under any circumstance and make every effort possible to have every game played no matter what." "Every field has its own issues that the field crew deals with each season. Our issue has been the warning track flooding during heavy rain. This past season we dealt with weather in over 79 percent of our games. Every time the track floods we have to sub pump and wet vac the entire thing. It is a team effort with the front office and grounds crew working together to get the field ready for play." With LeLacheur Park in use day-in-day out, Paolino has worked over the past few seasons to make several key improvements. In addition to the daily beautification of the field, Paolino has made improvements to the bullpens, home plate area and pitching mound, as well as added several new looks to the field with new cutouts and cuts. During the past two seasons, Paolino has worked not only to keep LeLacheur Park ready for baseball, but also to host two concerts. Following the Dropkick Murphy's and Mighty Mighty Bosstones concert in 2008, LeLacheur Park hosted indie-rock favorites, Wilco, in 2009, again opening the playing surface for stages and concertgoers alike. In each instance, Paolino has ensured LeLacheur Park is not only ready for baseball in the days that follow, but in the same condition it was before the concerts arrived. "To be able to turn-around the field over a six-day period from baseball to a concert and then back to baseball is a testament to the work ethic of Jeff and his crew," said Bawmann. "By the time we are back to baseball you wouldn't even know we had 6,000 people in the outfield the day before." Even under the stomping feet of a band of head banging concert goers, Paolino had the best interest of the park in mind. "To prepare for a successful concert on a baseball field I follow some very important steps. I let the outfield dry out as much as possible without stressing it. We cut the grass down to its shortest length to ensure grass blades do not get stressed out by compaction. A fungicide application is applied to the outfield to prevent disease from growing. Between the high temperatures, stage and floor covering the chance of disease is at a greater risk." "We put down a layer of sand (which collects at the bottom of the blade or crown) in the entire outfield so that when the flooring and staging are pulled up the grass will bounce back up. Immediately after the stage and flooring have been taken out we broom and blow all of the areas that were covered to stand the grass back up. Both concerts were equally challenging, the only difference was as the end of this year’s concert we have a down pour. The field took the water very well." A native of Methuen, Mass., Paolino was sworn into the military in a ceremony held at LeLacheur Park in June. While he is due to report to Lackland Air Force base outside of San Antonio, Texas in late October for training, Paolino will continue his work at LeLacheur Park. Paolino was grateful to the Spinners for allowing him to be sworn in at the park. "I was sworn in during a private ceremony on the field with some friends, family and all of my co-workers. It was a very unique situation to be able to bring together both my love for baseball and my country." "During my service in the Air Force I plan on finishing up school with a masters degree in Criminal Justice," he explained. "I am in a six-year-deal with the Air Force Reserve and I will continue my work with the Spinners after I return from basic training. My future goal is to join the Mass State Police and fulfill my law enforcement career." The Sports Turf Manager of the Year is selected by the top umpires in each league. Paolino was selected based on a number of criteria, including condition of turf grass, mound, infield, and communication with umpire crew and effort to complete games in adverse conditions. The national winner will be announced at the Baseball Winter Meetings, to be held the first week of December in Indianapolis. The previous story used excerpts from a press release by the Lowell Spinners. 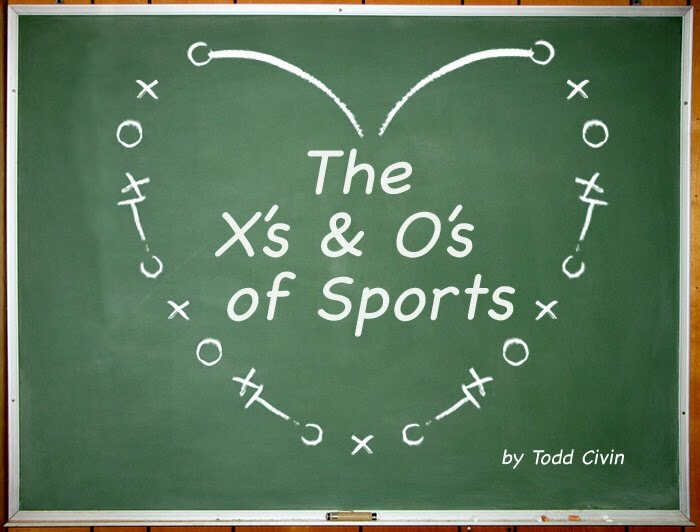 Todd Civin is a freelance writer for the Bleacher Report, Seamheads and Sports Then and Now. He is also a supporter of A Glove of Their Own, the award winning children's story that teaches paying it forward through baseball. Visit the site and purchase under today's donor code BER137 Berkshire Baseball.